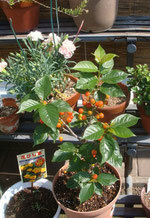 Cherry plant at mother's garden. There are lots nature here. I'm now in nature state and not ready to go back to Jamaica! !